I dag ble det kjent at Eidesvik-selskapet Green Reefers er i ferd med å transportere frossenfisk fra okkuperte Vest-Sahara. Støttekomiteen krever at Eidesviks engasjementer i Vest-Sahara må slutte. The Norwegian Support Committee for Western Sahara has discovered that Green Reefers’ vessel ‘Green Toledo’ (IMO no 9015785) visited the port of Dakhla in occupied Western Sahara on 1 August 2009. As far as we understand, the vessel is currently transporting fish from the occupied country. We are very concerned about this clear breach of the recommendations of the Norwegian government, and violation of fundamental ethical norms. Allow us to present why we believe such trade is highly unethical, and should be avoided by your companies. As you know, Morocco is an illegal occupying power in Western Sahara. The International court of Justice in 1975 established that Morocco has no legal claim to Western Sahara. The Sahrawi population remaining in areas under Moroccan occupation is subjected to grave human rights violations, such as torture, forced disappearances and arbitrary detention. Most importantly, however, they have not been allowed to freely exercise their right to self- determination through a free, fair and transparent referendum. This right was established through UN General Assembly resolution 1514 (XV) (1960), and has since been supported by more than 100 UN resolutions. The Sahrawi people’s right to self-determination includes, inter alia, the right of permanent sovereignty over its natural resources. Permanent sovereignty over natural resources is a customary principle of international law. Numerous resolutions of The United Nations Security Council and General Assembly and a legal opinion by the former UN Under-Secretary General of Legal Affairs, Mr. Hans Corell on 29 January 2002 affirm this position (www.arso.org/Olaeng.pdf). As the Sahrawis have not been able to exercise their right to self-determination, and since they therefore have not been properly consulted, trade with Morocco of natural resources emanating from Western Sahara is a violation of the Sahrawis’ right to permanent sovereignty over their resources. Consequently, you should also be aware that companies involved in the current plundering of Western Sahara resources could be liable to the future government of Western Sahara for this violation of their rights under international law. In addition to the legal issues, the political and ethical implications are of serious concern. 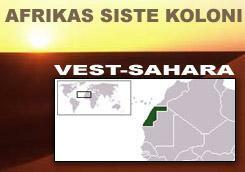 See the Norwegian Ministry of Finance for an elaborate opinion (https://www.vest-sahara.no/files/pdf/kmg_analysis_norway_2005.pdf) and press release (https://www.vest-sahara.no/files/pdf/kmg_divestment_norw_min_finance_release_05.pdf) on these matters. The Ministry states that even searching for oil in Western Sahara constitutes a “particularly serious violation of fundamental ethical norms e.g. because it may strengthen Morocco’s sovereignty claims and thus contribute to undermining the UN peace process”. We believe that any kind of shipping of all natural resources from the territory, or facilitating its exploration or exploitation has a similar effect. Moreover, Morocco’s control and exploitation of Western Sahara is devastating to the Sahrawis’ labour rights and their economic development. We will be happy to forward you more information on this subject, if needed. We are concerned that this week’s shipment by Green Toledo – and CAIANO’s operations through Sjøvik AS – are purely in the interest of Morocco, an illegal occupier, and lends legitimacy to the illegal Moroccan occupation of the territory. In light of the above facts, a number of shipping companies have responded appropriately. Norwegian companies which previously have transported fish or phosphates from Western Sahara, but who have stated they will not repeat it, include Arnesen Shipbrokers, R-Bulk, Vaagebulk IV, Vaage Shipmanagement AS, Wagle Chartering, Jinhui Shipping, and Atlantic RTI/Fearnley. We call on your firms to do the same as the mentioned shipping companies, and declare that you will terminate such transports immediately. As board member and part owner of Sjøvik AS, we also demand you to immediately make sure that Sjøvik’s fisheries operations in occupied Western Sahara are brought to a halt. We will send to your Green Reefers postal address the book “International Law and the Question of Western Sahara”, which we hope you will find clarifying.